So, in the above specific situation, where a customer is setting up a UniFi Access Point for the first time and using the Ubiquiti Controller Software to manage the AP, you will need to create a memorable username and password of your own and write it down; make sure you keep this somewhere safe, store a physical copy somewhere (where you won’t lose it or forget where you put it) and create a text file on your phone or laptop with this information stored for future use. Inevitably at some point you will need to use this username and password again – and you will thank yourself when you remember where it is you stored that information! 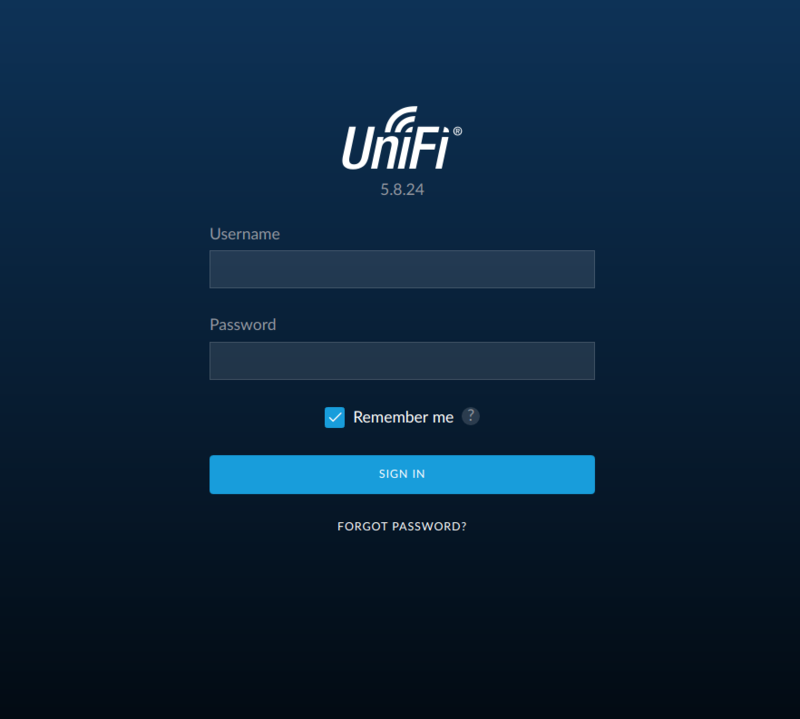 Another scenario involving the default username and password for UniFI Access Points (and many other Ubiquiti products) would be when accessing the unit via SSH – in this case (and if you haven’t already adopted the AP into the controller software as mentioned above), you would then need to use the default username and password – this has always been Username: ubnt and Password: ubnt. 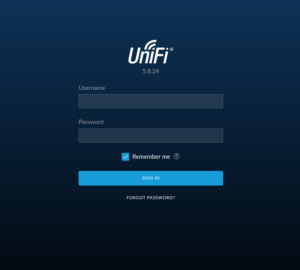 As long as the UniFi Access Point has not been previously setup or adopted by the software, and only if you are attempting to connect via SSH, then always use the default username and password of ubnt / ubnt. *Note the screenshot below is a newer version of the software, some customers may not see reference to SSH, it will simply read “Device Authentication” – this is where the auto-generated password will be shown. Each new device or location will have a settings page like this – you can access each individual settings page for different APs by clicking the dropdown box the top right of the dashboard, labelled “Locations“. 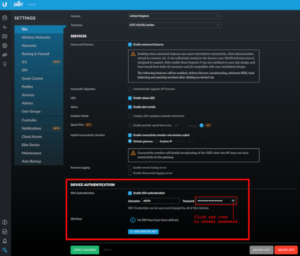 Another possible situation you might also encounter with regards to the default username and password of the UniFi Access Point, is if the AP has had SSH already enabled within the UniFi Controller Software. 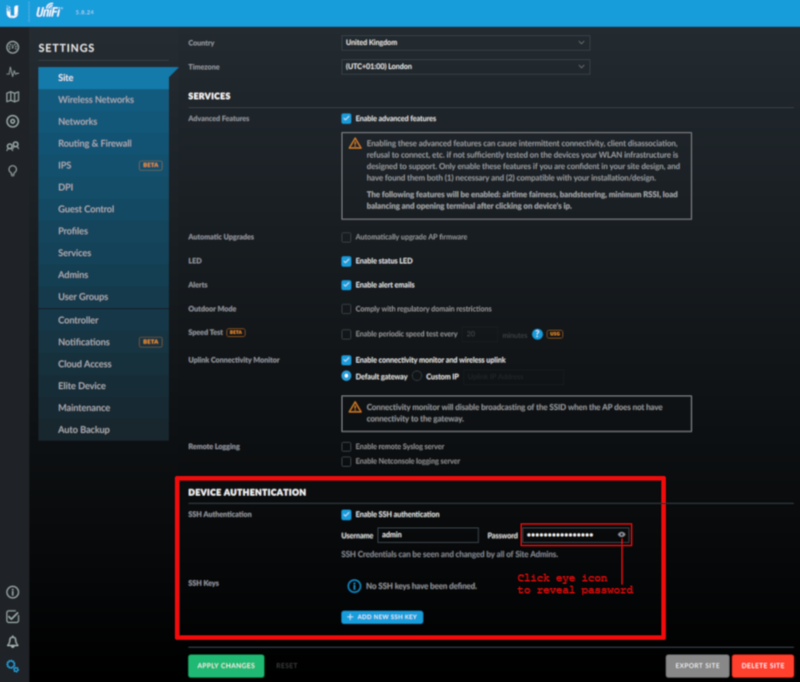 You can double check if this is the case by logging into the UniFi Controller Software, then click the tiny gear icon in the bottom left corner to go to the settings page – on this page, at the bottom, you will see something similar to the above screenshot, where if SSH has been enabled, the blue check box next to “Enable SSH Authentication” will be ticked and you will see the username and password displayed. You will need to click the tiny eye icon on the right of the password field in order to view the current password. Alternatively, if this has not been set up, these details will be left blank and you can choose to enable this depending on your requirements – in this case, you can either assign your own credentials or the software will create them for you (just make sure you note them down). 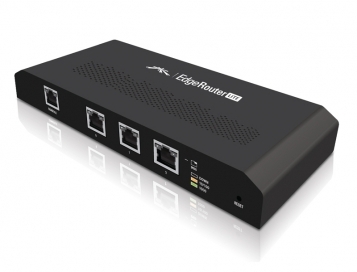 Finally, as a last resort and if all else fails (this really shouldn’t be necessary if the above methods have been used), you can always factory reset a UniFi access point as detailed in our blog post. After this process you can then reassign a new username and password via the above methods. « Is There Rain Fade on 60GHz Wireless Signals?